One of the most popular webradios in France is back for its 6th edition in La Clusaz to fill your ears, from March 29th to April 2nd! 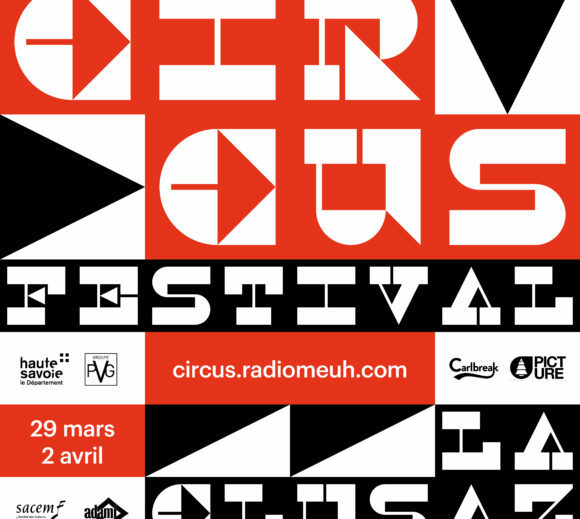 A sharp program, a friendly atmosphere, a remarkable organization and always more discoveries: welcome to the Radio Meuh Circus Festival! Imagined and organized by the band of friends of the “Meuh”, all volunteers, artists or simple music lovers, the festival resonates louder and louder year after year. This year, there are 5 days of festivities, four evenings under tents and more than a dozen OFF stages (open to everyone, on the ski slopes or in the village centre) that will make the valley vibrate. Electro, soul, hip-hop, disco or rock, everyone will find their happiness in this high altitude event. From noon until very late at night, festival-goers will enjoy a festive and good-natured atmosphere in the birthplace of France’s most listened-to web radio station!